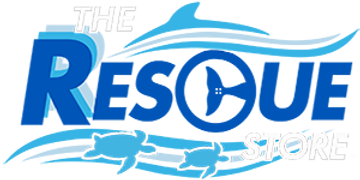 Join the Clearwater Marine Aquarium Research Team with this binocular set! Spot birds, turtles, insects and Winter the dolphin in your own backyard just like our biologists! These toy binoculars feature the Clearwater Marine Aquarium logo, 4.5 x 29 magnification power and a plastic Winter the dolphin toy. Best of all, 100% of the proceeds from your purchase goes directly to supporting our mission of Rescue, Rehabilitation and Release of marine life, and the long-term care of our resident animals! My grandson and I just watched Dolphin Tale together. At first he was sad because the dolphin was “broken”. I explained that the dolphin was hurt but was fixed by a special tail. He loved the movie so what better way to understand than with his very own replica toy of dolphin. Also, he borrows his great-grandfathers binoculars all the time. I seen this kit and thought it would be perfect for his Easter basket. My little employer will love it. He is two years old. Very cute and very nice ! Fun for a child or adult ! I really liked that the binoculars also came with a toy Winter the Dolphin.